Bollywood star Rani Mukerji’s Hichki is set to release in Russia on Teachers Day. The film, directed by Siddharth P Malhotra, will be dubbed in Russian and is scheduled to hit the theatres on September 6. “Hichki is a universal film and the response that it is getting in the overseas territories is validating that the film’s subject is an extremely relevant one. It’s really heartening that ‘Hichki’ will now release in Russia. It professes the message of the fact of making your worst obstacle within you and convert it into your biggest strength by embracing it and working each day to win over it. “It has a beautiful message that nothing is impossible and life can be beautiful even with our inherent complications. I’m really excited to see the reaction of audiences on Russia,” Malhotra said in a statement. The Yash Raj Films project, produced by Maneesh Sharma, is a story of an aspiring teacher played by Rani, who suffers from Tourette syndrome. The film recently received a standing ovation at the Shanghai International Film Festival (SIFF). 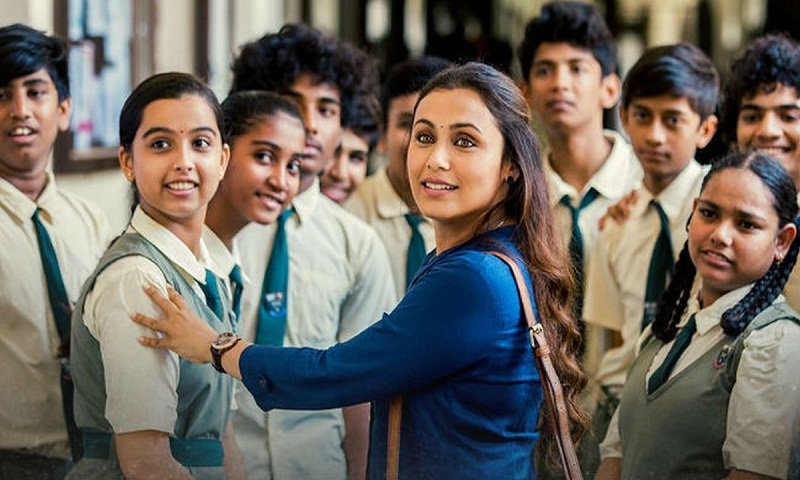 “Hichki has touched the hearts of audiences across age-groups, across countries. The film moved audiences at the Shanghai Film Festival where it was screened recently and we got a standing ovation there. It was an overwhelming reaction from a non-Hindi speaking market and now that the film is releasing in Russia, we expect audiences to feel the same emotions that people across the world are feeling after seeing the movie,” Sharma said.